Maryam Mirzakhani Fields Medal: First woman to win math’s biggest prize works in dynamics. The first woman to win math’s biggest prize works in a young and exciting field. 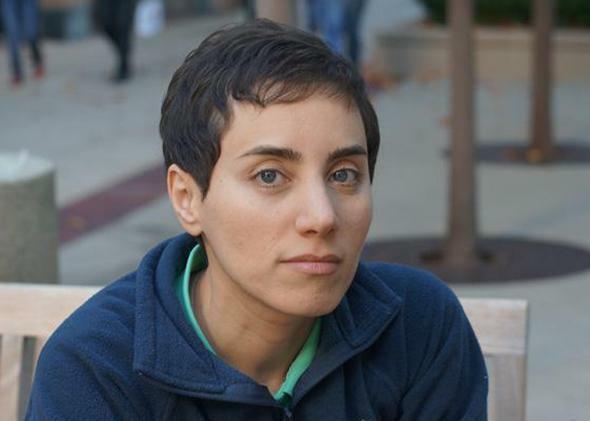 Fields Medal winner Maryam Mirzakhani studies dynamics, an infant field compared with the other major branches of math. The big news out of the International Congress of Mathematicians, currently taking place in Seoul, South Korea, is that Maryam Mirzakhani was awarded a Fields Medal, becoming the first woman to receive math’s highest honor. Mirzakhani’s win also speaks to another cultural change in mathematics. Her research area, dynamics, is an infant compared to the other major branches of math. Number theory, geometry, and analysis have histories measured in centuries. Dynamics—the abstract theory of motion and change over time—is only a little more than 100 years old. And its modern form really only got going in the 1950s. Dynamics, in its original formulation, arises from celestial mechanics. Here’s how the universe works, basically: You have a bunch of bodies positioned somewhere in space, and then gravity does what it does. One simple rule—bodies attract one another with a force proportional to their mass and inversely proportional to the square of the distance between them—determines the behavior of the system over all future time. Start with a simple universe consisting only of two bodies, and the dynamics are easy: The bodies either orbit each other along stable elliptical paths, or they fly hyperbolically apart. Put in a third object, though, and all celestial hell breaks loose. This “three-body problem” was the one that vexed Henri Poincaré, who found that the dynamics of three objects in space (let alone the uncounted billions of hunks of mass making up the rest of the universe) are not described by any simple formula, despite the simplicity of the physical laws that govern them. That’s only the beginning of dynamics, whose orbit (see what I did there?) now includes essentially any system whose behavior over time is controlled by a simple rule. The system could be a set of billiard balls on a table; the only rules are that a ball in motion tends to remain in motion in the same direction at the same speed, unless it encounters another ball or a wall, in which case it reflects. No friction, no spin, no nothing; and yet billiards displays the same richness and complexity as does the motion of the heavenly bodies. And we’re right back where we started; the dynamics are periodic, tracing out the same path again and again like two bodies orbiting each other in an ellipse. But if you start with an irrational number, the process never repeats itself. The dynamics of the system recognize the arithmetic distinction between rational and irrational numbers! Elon Lindenstrauss of Hebrew University won a Fields in 2010 for dynamics of this kind, which has infiltrated the grand old temple of number theory, much to the classicists’ surprise. In fact, there’s hardly any part of math that hasn’t been injected with dynamics. This brings us back to Mirzakhani, whose work expertly blends dynamics with geometry. Among other things, she studies billiards. But now, in a move very characteristic of modern mathematics, it gets kind of meta: She considers not just one billiard table, but the universe of all possible billiard tables. And the kind of dynamics she studies doesn’t directly concern the motion of the billiards on the table, but instead a transformation of the billiard table itself, which is changing its shape in a rule-governed way; if you like, the table itself moves like a strange planet around the universe of all possible tables. This isn’t the kind of thing you do to win at pool, but it’s the kind of thing you do to win a Fields Medal. And it’s what you need to do in order to expose the dynamics at the heart of geometry; for there’s no question that they’re there. Dynamical systems have changed the nature of math, and they are here to stay.